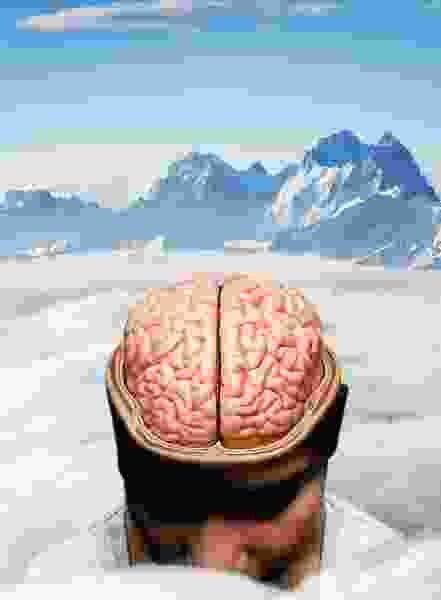 (Francisco Kjolseth | The Salt Lake Tribune) Photo illustration by Francisco Kjolseth Some medications used to treat depression have shown signs of reduced effectiveness for patients who live at higher altitudes. Everyone seems to have the same question about Utah’s suicide rate: Why is it so high? The answer remains elusive and complex. But a new report offers some clarity, finding the Beehive State’s high altitude may play a role. “Growing evidence, based on large data sets, suggests that altitude of residence is specifically associated with increased risk of suicide and depression,” conclude a trio of University of Utah researchers, who recently published their review of medical literature in the Harvard Review of Psychiatry. They found altitude also may make popular antidepressants less effective. Experts suggest many factors play into the state’s high suicide rate, from widespread gun ownership, to a stoic cowboy mentality that is common in some rural Western communities, to the influence of religion. Last year, Utah hired a researcher, Michael Staley, to dig into what’s behind the problem, part of an effort to develop better prevention programs.But it appears at least one leading driver behind Utah’s suicide rate — which ranked fifth in the nation in 2016 — is simply the mountainous geography. Low atmospheric pressure at altitude causes declining blood oxygen levels. This affects the body’s levels of serotonin, the chemical that helps regulate mood, the U. researchers wrote, adding that lower oxygen also impairs energy flows through our brains. “People with depression tend to have less efficient energy utilization in certain parts of their brain, like the prefrontal cortex,” said Brent Kious, a U. psychiatry professor and the review’s lead author. This energy roadblock, he said, means people have a tougher time overcoming negative emotions. It turns out other mountainous states have similarly high suicide rates, with Montana, Wyoming and New Mexico also in the top five and Alaska ranked second, according to the Centers for Disease Control and Prevention. This trend has earned the Intermountain West a morbid nickname: the suicide belt. The U. researchers reviewed several U.S. studies that found suicide rates increased with altitude. One that examined nearly 9,000 suicide deaths in 2006 across 15 states found the suicide rate at high altitudes was three times higher than for those living near sea level. Another study noted a “threshold effect,” where suicide rates increased dramatically between 2,000 and 3,000 feet. Salt Lake City’s altitude is 4,265 feet. Scientists in other countries have discovered similar associations, the U. review found. Suicide rates in Andalusia, a mountainous region of Spain, were higher than the country’s average, a finding correlated with high altitude. In Saudi Arabia, the prevalence of suicidal thoughts among depressed patients at a high-elevation psychiatric hospital was more than five times higher than at a sea level one. These studies have piled up in recent years, Kious said, including several conducted by researchers at the U. One 2015 study showed how exposure to altitude led to more depressionlike behavior in female rats. After a week of thin air, the rats were less likely to struggle in a swim test. “Our sense is that every study that has looked at this association in a scientific, rigorous fashion has found it,” Kious said. The researchers also reviewed treatments. The most commonly prescribed antidepressants, known as selective serotonin reuptake inhibitors, or SSRIs, appear to be less effective when used at altitude, they found. SSRIs include Prozac, Zoloft and Lexapro. But other supplements, including tryptophan and one known as 5-HTP, might be developed as alternative antidepressants that remain effective at high elevations. For example, 5-HTP “bypasses the oxygen-dependent step in serotonin production,” the authors wrote. In addition, the popular sports supplement creatine could be helpful in boosting the ways our brains store and utilize energy, and therefore combat depression at altitude, according to the report. While altitude appears to be a risk factor for suicide, Kious said, it’s tough to gauge how moving to a higher or lower elevation would affect an individual’s suicide risk or depression. “That’s simply not a realistic treatment plan,” said Staley, the state suicide researcher. Staley said the growing body of research into altitude and suicide is “one piece in the larger puzzle” that helps explain Utah’s high suicide rate. But he said it’s difficult to envision how the altitude findings could affect his research into individual suicide cases or how it might guide public policy on suicide prevention in Utah. Still, Staley said, if the research leads to new medicines for depression — including more effective treatments for people living in the mountains — that would be a welcome development.